Wake Up Call - Mark Your Calendars! 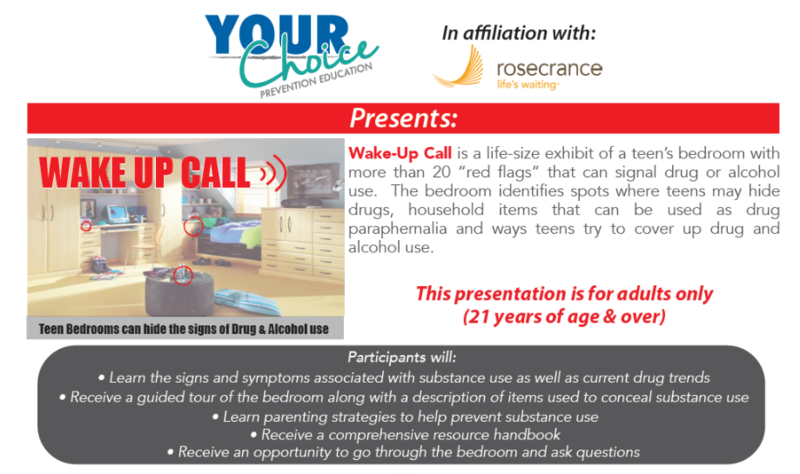 Please join us for this FREE, eye-opening presentation on Monday, February 18th from 6:00-7:30 at the Jack Link’s Aquatic and Activity Center! Northwood Middle and High School students whose parents attend the presentation will all receive an incentive and will be eligible for prize drawings at school!!! ALL adults in attendance will be eligible for door prizes at the event! $500 in door prizes will be given away! Copyright © Northwood School District 2019. All rights reserved.